CONCHOS - Caldwell Saddle Co. WARNING: DUE TO THE NATURE OF THE LEATHER TO "SEAT", OR COMPRESS, AFTER A PERIOD OF TIME, SCREWS, NAILS, AND CONCHOS WILL LOOSEN SOME. CHECKING THESE ITEMS FREQUENTLY IS YOUR RESPONSIBILITY. 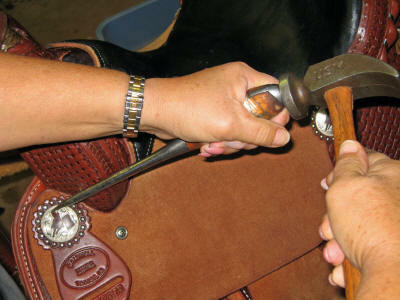 SEE THE BOTTOM OF THIS PAGE FOR TIPS ON TIGHTENING YOUR CONCHOS. The conchos above are standard choices and entail no extra charge. The conchos and other accessories below will cost extra depending what you choose. The spotted rosettes go behind the conchos and will be colored to match your saddle. Crystals and stainless spots can be applied in just about any pattern. We also have horsehair tassels in an assortment of colors and sizes. 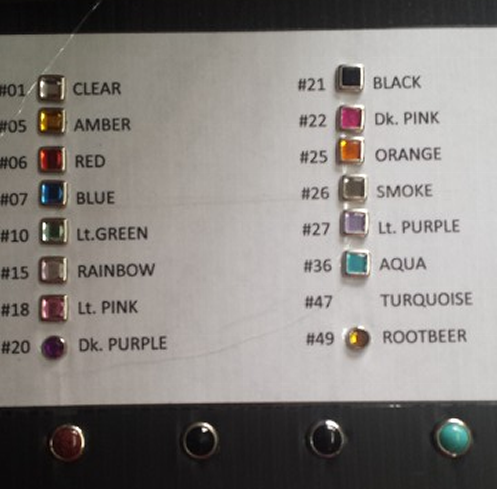 Our crystals are prong set and applied just like our stainless steel spots for a more secure attachment. See below for the sizes and colors available. 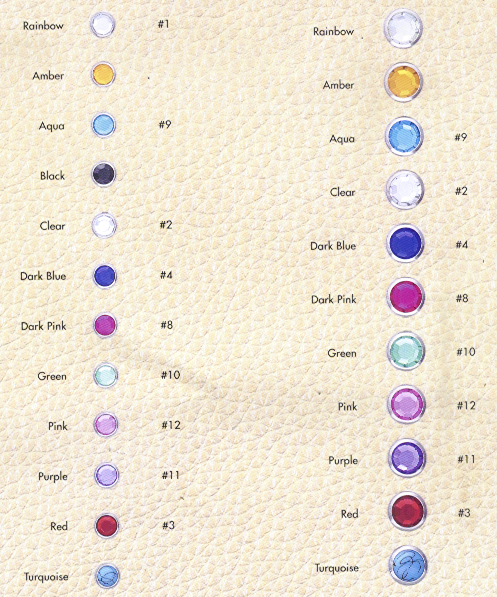 Note that there may be some slight color variance. DON'T FORGET TO OIL AND CLEAN YOUR SADDLE!